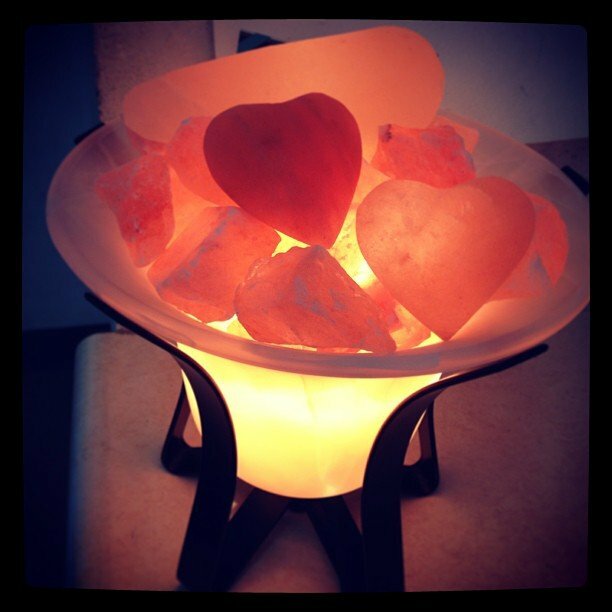 New salt lamps in today! This one warms 2 salt heats and a massage tool! We also got in rose quartz and amethyst just like this one, won’t last long!